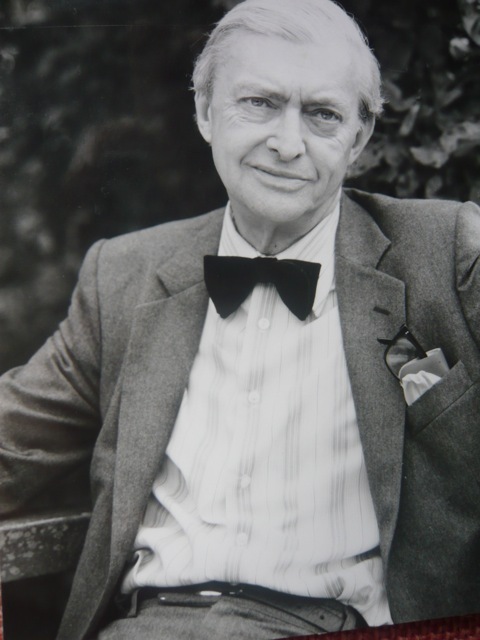 Join us for a celebration of the centennial of enigmatic English poet David Gascoyne (1916 – 2001). An overlooked, self-deprecating figure, who endured a series of incarcerations, he claimed to be ‘a poet who wrote himself out when young and then went mad’. But he went on to become a common denominator for surrealists, psychogeographers, existentialists, Francophiles, and more. The Londonist‘s preferred London poet, Gascoyne is a kind of modern Blake, an urban mystic and perennial philosopher. Rebuffed by TS Eliot and the literary establishment of his day, his brilliant posthumous career is only just getting started. With readings from MacGillivray, Niall McDevitt, Nick Papadimitriou, Jeremy Reed and Iain Sinclair. This entry was posted on 7 January, 2016 in homepage and tagged centenary, David Gascoyne, Iain Sinclair, Jeremy Reed, MacGillivray, Niall McDevitt, Nick Papadimitriou, south bank. Bookmark the permalink. Wonderful. I want to be there. I don’t understand the link. the link wants me o open a microsoft email account. No way – Jose! I want to be there, though. Please keep a place for me. I will be there. Email specialedition@poetrylibrary.org.uk to book a free ticket.